2015 calendar events will additionally be posted shortly and will be updated throughout the year. The Ochsner Alumni Association hosted a Anesthesiologist Alumni Reception Event in San Francisco on October 12, 2013. The Ochsner Alumni Association hosted their annual Homecoming weekend in April, 2013. The Awards Banquet was held at The Irish House and featured Warner Thomas, President & CEO, Ochsner Health System and Chef Matt Murphy, owner, The Irish House, Winner 2012 Food Network’s “Chopped” as the speakers. In Memoriam: Taylor King Pickett, M.D. Ochsner lost a loyal friend on April 10, 2011. Taylor King Pickett, M.D., died when the private plane he was piloting crashed in McComb, Mississippi. This tragic accident also claimed the lives of his wife, Laura Kathleen, and sister-in-law, Jacqueline Ham, who were with him. He was 51 years old. A memorial service was held April 14, 2011 in Spanish Fort, Alabama. Taylor was a native of Mobile, Alabama and graduated from Vanderbilt University and the University of Alabama School of Medicine. He received his general surgery training at Ochsner and the Maine Medical Center in Portland, Maine followed by thoracic and cardiovascular surgery training at Ochsner. He was certified by the American Board of Surgery, the American Board of Thoracic Surgery, and the American Board of Vascular Medicine. He was a member of multiple professional organizations and societies including the American College of Surgeons, Society of Thoracic Surgeons, Southern Thoracic Surgical Association, and the International Society of Endovascular Specialists. He was a Lifetime Member of the Ochsner Alumni Association. He was affiliated in private practice in Houston and Lufkin, Texas with another Ochsner graduate, Devinder Bhatia. Taylor always held his Ochsner training in the highest esteem and regard. 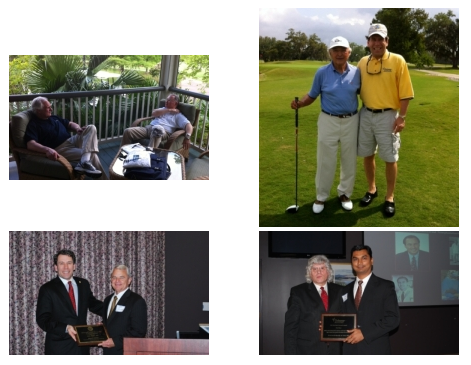 Taylor was committed to the model of private practice and remained in the Gulf South nearly his entire career. He embraced new technology and its applicability in the private practice setting while maintaining an appropriate balance with mainstream methods and procedures. He had profound empathy with his patients and went to great lengths to provide compassionate personalized care. His patients were deeply appreciative of his efforts on their behalf. He never met a stranger. I first met Taylor in July 1995 when I was Chief Resident in thoracic and cardiovascular surgery and he was beginning the two-year fellowship. His general surgery training at Ochsner had laid the foundation in many ways for his thoracic and cardiovascular surgery training. Being a newcomer when I came to Ochsner, I “learned the ropes” during my first year. Taylor maximized my experience as Chief Resident and showed me a whole new set of “ropes”. Almost immediately I knew we would be friends and colleagues. Taylor was a pleasure to work with – dependable, respectful of the educational experience, reliable, energetic, and colorful. Devinder Bhatia rounded out a trio as a clinical fellow and we all kept in contact, frequently discussed cases, and maintained the friendship following our respective graduations. It was a remarkable year. Taylor loved life, his family, flying, cardiovascular surgery, and Ochsner. He was ahead of his time in many ways. Taylor was an experienced private pilot and volunteered routinely with Angel Flight providing free air transportation to medical treatment for patients in need. As a senior medical student he was interviewed by the autocratic surgery department chairman at the University of Alabama at Birmingham for a residency position. Taylor appeared at the interview in shorts and sandals. When he told me about this I was surprised and somewhat disbelieving, having trained in the general surgery program at UAB. Taylor simply said, “I knew I wanted to go to Ochsner”. Considering how surgical training has evolved since then, he was clearly ahead of his time. We were of the “transition” generation in vascular surgery training of the mid and late 1980’s as vascular surgery was gaining a separate identity from general surgery. Training was often limited to one-year clinical fellowships which could then be followed by cardiovascular surgery fellowships. Influenced by Dr. John Ochsner and knowing we did not want to pair vascular surgery with general surgery, we chose this training paradigm. While spending his general surgery chief resident year in Maine he was able to focus on vascular surgery and his practice always encompassed adult cardiac, general thoracic, and peripheral vascular surgery. He embraced endovascular technology early with great foresight. He contemplated and discussed hybridized training as a cardiovascular specialist to obtain the catheter-based skill set that is ubiquitous today. He trained himself well in this area and his experience has now become a mainstream reality. As natives of Mobile, our families have homes on Dauphin Island. I treasure the times he and I were at “the Island.” We talked about past times, the future (retirement), fished Mobile Bay, and laughed a lot. He knew I had an interest in Southern writers and Southern literature. He introduced me to the writings of Walker Percy, who had grown up in Greenville, MS and later lived in Covington, LA. His imitation of Dr. John Ochsner was flawless and conveyed the respect and admiration he had for Dr. John. It was so perfect that he would call and it would take a few minutes to realize that you were not talking to Dr. John. One year at the Annual Fellows’ Alumni Homecoming Banquet we were viewing the Pathway in Alumni Circle where we had both purchased bricks. We gazed at the statue of Alton Ochsner and Taylor wondered aloud half seriously “How much do I have to give to get a statue?” At his memorial service many friends fondly reflected how Taylor, at times, seemed to thrive with chaos in his life. I prefer to believe he was a master at compartmentalization and did it well and better than most of us. It was also said that he sometimes marched to a different drummer. I just believe he was truly an independent thinker, a trait that I admire. Taylor is survived by his four children, Elizabeth Riley Pickett and Hannah Taylor Pickett of Houston, and Adalee Katherine Pickett and Scott King Pickett of Summitt, Mississippi. His friends and colleagues have honored his memory by the establishment of the Taylor K. Pickett, M.D., Memorial Fund at Ochsner to benefit those fellows training in vascular/endovascular surgery and cardiothoracic surgery. Taylor will continue to be missed. Those of us who knew him have been enriched and are better physicians and individuals for it. I am proud to have called him my friend. Article by: Michael C. Trotter, M.D.